MOSCOW (Sputnik) — Russian Deputy Prime Minister Dmitry Rogozin and Iranian Defense Minister Hossein Dehghan reiterated on Saturday the course for relations development in defense sector and for implementation of mutually beneficial deals, the Iranian Defense Ministry said. According to the ministry, the two politicians discussed a number of bilateral, regional and international issues during the visit of Rogozin to the Asian nation. Russian Deputy Prime Minister Rogozin will discuss arms supply with Iranian Defense Minister Hossein Dehghan in Tehran on Saturday, as the countries tentatively agreed to strengthen military and technical and technological cooperation after new US sanctions, a source in Rogozin’s office said. 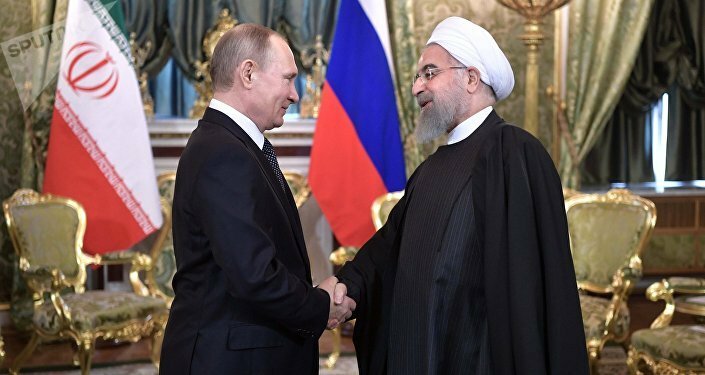 Rogozin is set to visit Iran on Saturday to lead the Russian delegation to the inauguration ceremony of re-elected Iranian President Hassan Rouhani.